The natural world is brimming with ratios, and spirals, that have been captivating mathematicians for centuries. The term phyllotaxis (from the Greek phullon ‘leaf,’ and taxis ‘arrangement) was coined around the 17th century by a naturalist called Charles Bonnet. Many notable botanists have explored the subject, such as Leonardo da Vinci, Johannes Kepler, and the Schimper brothers. In essence, it is the study of plant geometry – the various strategies plants use to grow, and spread, their fruit, leaves, petals, seeds, etc. Let’s say that you’re a flower. As a flower, you want to give each of your seeds the greatest chance of success. This typically means giving them each as much room as possible to grow, and propagate. Starting from a given center point, you have 360 degrees to choose from. The first seed can go anywhere and becomes your reference point for ‘0‘ degrees. To give your seeds plenty of room, the next one is placed on the opposite side, all the way at 180°. However the third seed comes back around another 180°, and is now touching the first, which is a total disaster (for the sake of the argument, plants lack sentience in this instance: they can’t make case-by-case decisions and must stick to one angle (the technical term is a ‘divergence angle‘)). Note: This is technically true with numbers as high as 120, 180, or even 360(a spoke every 1°.) However the space between seeds in a spoke gradually becomes greater than the space between spokes themselves, leaving you with one big spiral instead. These ‘spokes’ are the result of the periodic nature of a circle. When defining an angle for this experiment, the more ‘rational’ it is, the poorer the spread will be (a number is rational if it can be expressed as the ratio of two integers). Naturally this implies that a number can be irrational. -Between any two rational numbers, there is at least on irrational number. –Irrational numbers go on and on forever, and never repeat. You go back to being a flower. Since you’ve just learned that an angle defined by a rational number gives you a lousy distribution, you decide to see what happens when you use an angle defined by an irrational number. Luckily for you, some of the most famous numbers in mathematics are irrational, like π (pi), √2 (Pythagoras’ constant), and e (Euler’s number). Dividing your circle by π (360°/3.14159…) leaves you with an angle of roughly 114.592°. Doing the same with √2 and e leave you with 254.558° and 132.437° respectively. Great success. These angles are already doing a much better job of dispersing your seeds. It’s quite clear to you that √2 is doing a much better job than π, however the difference between √2 and e appears far more subtle. Perhaps expanding these sequences will accentuate the differences between them. It’s not blatantly obvious, but √2 appears to be producing a slightly better spread. The next question you might ask yourself is then: is it possible to measure the difference between the them? How can you prove which one really is the best? What about Theodorus’, Bernstein’s, or Sierpiński’s constants? There are in fact an infinite amount of mathematical constants to choose from, most of which do not even have names. Numbers can either be rational or irrational. However some irrational numbers are actually more irrational than others. For example, π is technically irrational (it does go on and on forever), but it’s not exceptionally irrational. This is because it’s approximated quite well with fractions – it’s pretty close to 3+1⁄7 or 22⁄7. It’s also why if you look at the phyllotaxis pattern of π, you’ll find that there are 3 spirals that morph into 22 (I have no idea how or why this is. It’s pretty rad though). Generating a voronoi diagram with your phyllotaxis patterns is a pretty neat way of indicating exactly how much real estate each of your seeds is getting. Furthermore, you can colour code each cell based on proximity to nearest seed. In this case, purple means the nearest neighbour is quite close by, and orange/red means the closet neighbour is relatively far away. Congratulations! You can now empirically prove that √2 is in fact more effective than e at spreading seeds (e‘s spread has more purple, blue, and cyan, as well as less yellow (meaning more seeds have less space)). But this begs the question: how then, can you find the most irrational number? Is there even such a thing? You could just check every single angle between 0° and 360° to see what happens. This first thing you (by which ‘you,’ I mean ‘I’) notice is: holy cats, that’s a lot of options to choose from; how the hell are you suppose to know where to start? The second thing you notice is that the pattern is actually oscillating between spokes and spirals, which makes total sense! What you’re effectively seeing is every possible rational angle (in order), while hitting the irrational one in between. Unfortunately you’re still not closer to picking the most irrational one, and there are far too many to compare one by one. Fortunately you don’t have to lose any sleep over this, because there is actually a number that has been mathematically proven to be the most irrational of all. This number is called phi (a.k.a. the Golden/Divine + Ratio/Mean/Proportion/Number/Section/Cut etc. ), and is commonly written as Φ (uppercase), or φ (lowercase). It is the most irrational number because it is the hardest to approximate with fractions. Any number can be represented in the form of something called a continued fraction. Rational numbers have finite continued fractions, whereas irrational numbers have ones that go on forever. You’ve already learned that π is not very irrational, as it’s value is approximated pretty well quite early on in its continued fraction (even if it does keep going forever). On the other hand, you can go far further in Φ‘s continued fraction and still be quite far from its true value. Since you’re (by which ‘you’re,’ I mean I’m) a flower (by which ‘a flower,’ I mean ‘an architecture student’), and not a number theorist, it’s less important to you why it’s so irrational, and more so just that it is so. So then, you plot your seeds using Φ, which gives you an angle of roughly 137.5°. It seems to you that this angle does a an excellent job of distributing seeds evenly. Seeds always seem to pop up in spaces left behind by old ones, while still leaving space for new ones. Expanding the this pattern, as well as the generation of a voronoi diagram, further supports your observations. You could compare Φ‘s colour coded voronoi/proximity diagram with the one produced using √2, or any other irrational number. What you’d find is that Φ does do the better job of evenly spreading seeds. However √2 (among with many other irrational numbers) is still pretty good. If you were to plot a range of angles, along with their respective voronoi/proximity diagrams, you can see there are plenty of irrational numbers that are comparable to Φ (even if the range is tiny). The following video plots a range of only 1.8°, but sees six decent candidates. If the remaining 358.2° are anything like this, then there could easily well over ten thousand irrational numbers to choose from. It’s worth noting that this is technically not how plants grow. Rather than being added to the outside, new seeds grow from the middle and push everything else outwards. This also happens to by why phyllotaxis is a radial expansion by nature. In many cases the same is true for the growth of leaves, petals, and more. ght have you believe. You’ve seen that there are countless irrational numbers that can define the growth of a plant in the form of spirals. What you might not know is that there is such as thing as the Silver Ratio, as well as the Bronze Ratio. The truth is that there’s actually a vast variety of logarithmic spirals that can be observed in nature. A huge variety of plants have been observed to exhibit spirals in their growth (~80% of the 250,000+ different species (some plants even grow leaves at 90° and 180° increments)). These patterns facilitate photosynthesis, give leaves maximum exposure to sunlight and rain, help moisture spiral efficiently towards roots, and or maximize exposure for insect pollination. These are just a few of the ways plants benefit from spiral geometry. Some of these patterns may be physical phenomenons, defined by their surroundings, as well as various rules of growth. They may also be results of natural selection – of long series of genetic deviations that have stood the test of time. For most cases, the answer is likely a combination of these two things. In some of the cases, you could make an compelling arrangement suggesting that these spirals don’t even exist. This quickly becomes a pretty deep philosophical question. If you put a series of points in a row, one by one, when does it become a line? How close do they have to be? How many do you have to have? The answer is kinda slippery, and subjective. A line is mathematically defined by an infinite sum of points, but the brain is pretty good at seeing patterns (even ones that don’t exist). M.C. Escher said that we adore chaos because we love to produce order. Alain Badiou also said that mathematics is a rigorous aesthetic; it tells us nothing of real being, but forges a fiction of intelligible consistency. Grids, shells, and how they, in conjunction with the study of the natural world, can help us develop increasingly complex structural geometry. This post is the third installment of sort of trilogy, after Shapes, Fractals, Time & the Dimensions they Belong to, and Developing Space-Filling Fractals. While it’s not important to have read either of those posts to follow this one, I do think it adds a certain level of depth and continuity. Regarding my previous entries, it can be difficult to see how any of this has to do with architecture. In fact I know a few people who think studying fractals is pointless. Admittedly I often struggle to explain to people what fractals are, let alone how they can influence the way buildings look. However, I believe that this post really sheds light on how these kinds of studies may directly influence and enhance our understanding (and perhaps even the future) of our built environment. Firstly, I’m pretty sure Frei Otto would be rolling over in his grave. Secondly, if someone thinks that biomimicry is useless, it’s because they don’t really understand what biomimicry is. And I think the same can be said regarding the study of fractals. They are closely related fields of study, and I wholeheartedly believe they are fertile grounds for architectural marvels to come. As far as classification goes, shells generally fall under the category of two-dimensional shapes. They are defined by a curved surface, where the material is thin in the direction perpendicular to the surface. However, assigning a dimension to certain shells can be tricky, since it kinda depends on how zoomed in you are. A strainer is a good example of this – a two-dimensional gridshell. But if you zoom in, it is comprised of a series of woven, one-dimensional wires. And if you zoom in even further, you see that each wire is of course comprised of a certain volume of metal. This is a property shared with many fractals, where their dimension can appear different depending on the level of magnification. And while there’s an infinite variety of possible shells, they are (for the most part) categorizable. These curves highlight each dimension of the two-dimensional surface. In this case only one of the two ‘curves’ is actually curved, making this shape developable. This means that if, for example, it was made of paper, you could flatten it completely. In this case, one of them grows in length, but the other still remains straight. Since one of the dimensions remains straight, it’s still a single curved surface – capable of being flattened without changing the area. Singly curved surfaced may also be referred to as uniclastic or monoclastic. These can be classified as synclastic or anticlastic, and are non-developable surfaces. If made of paper, you could not flatten them without tearing, folding or crumpling them. In this case, both curves happen to be identical, but what’s important is that both dimensions are curving in the same direction. In this orientation, the dome is also under compression everywhere. This one was formed by non-uniformly sweeping a convex parabola along a concave parabola. It’s internal structure will behave differently, depending on the curvature of the shell relative to the shape. Roof shells have compressive stresses along the convex curvature, and tensile stress along the concave curvature. Here is an example of a beautiful marriage of tensile and compressive potato and wheat-based anticlastic forces. Although I hear that Pringle cans are diabolically heinous to recycle, so they are the enemy. This shape was achieved by sweeping a straight line over a straight path at one end, and another straight path at the other. This will work as long as both rails are not parallel. Although I find this shape perplexing; it’s double curvature that you can create with straight lines, yet non-developable, and I can’t explain it.. The hyperboloid has been a popular design choice for (especially nuclear cooling) towers. It has excellent tensile and compressive properties, and can be built with straight members. This makes it relatively cheap and easy to fabricate relative to it’s size and performance. These are singly curved curves, although that does sound confusing. A simple way to understand what geodesic curves are, is to give them a width. As previously explored, we know that curves can inhabit, and fill, two-dimensional space. However, you can’t really observe the twists and turns of a shape that has no thickness. A ribbon is essentially a straight line with thickness, and when used to follow the curvature of a surface (as seen above), the result is a plank line. The term ‘plank line’ can be defined as a line with an given width (like a plank of wood) that passes over a surface and does not curve in the tangential plane, and whose width is always tangential to the surface. Since one-dimensional curves do have an orientation in digital modeling, geodesic curves can be described as the one-dimensional counterpart to plank lines, and can benefit from the same definition. We start by defining two points anywhere along the edge of the surface. Then we find the geodesic curve that joins the pair. Of course it’s trivial in this case, since we’re dealing with a flat surface, but bear with me. We can keep adding pairs of points along the edge. In this case they’re kept evenly spaced and uncrossing for the sake of a cleaner grid. After that, it’s simply a matter of playing with density, as well as adding an additional set of antagonistic curves. For practicality, each set share the same set of base points. He’s an example of a grid where each set has their own set of anchors. While this does show the flexibility of a grid, I think it’s far more advantageous for them to share the same base points. The same principle is then applied to a series of surfaces with varied types of curvature. First comes the shell (a barrel vault in this case), then comes the grid. The symmetrical nature of this surface translates to a pretty regular (and also symmetrical) gridshell. The use of geodesic curves means that these gridshells can be fabricated using completely straight material, that only necessitate single curvature. The same grid used on a conical surface starts to reveal gradual shifts in the geometry’s spacing. The curves always search for the path of least resistance in terms of bending. This case illustrates the nature of geodesic curves quite well. The dome was free-formed with a relatively high degree of curvature. A small change in the location of each anchor point translates to a large change in curvature between them. Each curve looks for the shortest path between each pair (without leaving the surface), but only has access to single curvature. Structurally speaking, things get much more interesting with anticlastic curvature. As previously stated, each member will behave differently based on their relative curvature and orientation in relation to the surface. Depending on their location on a gridshell, plank lines can act partly in compression and partly in tension. Here are just a few of the endless possible pattern. They all have their advantages and disadvantages in terms of fabrication, as well as structural potential. Gridshells with large amounts of triangulation, such as Buckminster Fuller’s geodesic spheres, typically perform incredibly well structurally. These structure are also highly efficient to manufacture, as their geometry is extremely repetitive. In our case, building these shells is simply a matter of converting the geodesic curves into planks lines. The whole point of using them in the first place is so that we can make them out of straight material that don’t necessitate double curvature. This example is rotating so the shape is easier to understand. It’s grid is also rotating to demonstrate the ease at which you can play with the geometry. This is what you get by taking those plank lines and laying them flat. In this case both sets are the same because the shell happens to the identicall when flipped. Being able to use straight material means far less labour and waste, which translates to faster, and or cheaper, fabrication. An especially crucial aspect of gridshells is the bracing. Without support in the form of tension ties, cable ties, ring beams, anchors etc., many of these shells can lay flat. This in and of itself is pretty interesting and does lends itself to unique construction challenges and opportunities. This isn’t always the case though, since sometimes it’s the geometry of the joints holding the shape together (like the geodesic spheres.) Sometimes the member are pre-bent (like Pompidou-Metz.) Although pre-bending the timber kinda strikes me as cheating thought.. As if it’s not a genuine, bona fide gridshell. This is one of the original build method, where the gridshell is assembled flat, lifted into shape, then locked into place. Having studied the basics makes exploring increasingly elaborate geometry more intuitive. In principal, most of the shells we’ve looked are known to perform well structurally, but there are strategies we can use to focus specifically on performance optimization. These are surfaces that are locally area-minimizing – surfaces that have the smallest possible area for a defined boundary. They necessarily have zero mean curvature, i.e. the sum of the principal curvatures at each point is zero. Soap bubbles are a great example of this phenomenon. Hyperbolic Paraboloid Soap Bubble [Source: Serfio Musmeci’s “Froms With No Name” and “Anti-Polyhedrons”]Soap film inherently forms shapes with the least amount of area needed to occupy space – that minimize the amount of material needed to create an enclosure. Surface tension has physical properties that naturally relax the surface’s curvature. We can simulate surface tension by using a network of curves derived from a given shape. Applying varies material properties to the mesh results in a shape that can behaves like stretchy fabric or soap. Reducing the rest length of each of these curves (while keeping the edges anchored) makes them pull on all of their neighbours, resulting in a locally minimal surface. Here we have one of the most popular examples of minimal surface geometry in architecture. The shapes of these domes were derived from a series of studies using clustered soap bubbles. The result is a series of enormous shells built with an impressively small amount of material. Another powerful method of form finding has been to let gravity dictate the shapes of structures. In physics and geometry, catenary (derived from the Latin word for chain) curves are found by letting a chain, rope or cable, that has been anchored at both end, hang under its own weight. They look similar to parabolic curves, but perform differently. A net shown here in magenta has been anchored by the corners, then draped under simulated gravity. This creates a network of hanging curves that, when converted into a surface, and mirrored, ultimately forms a catenary shell. This geometry can be used to generate a gridshell that performs exceptionally well under compression, as long as the edges are reinforced and the corners are braced. While I would be remiss to not mention Antoni Gaudí on the subject of catenary structure, his work doesn’t particularly fall under the category of gridshells. Instead I will proceed to gawk over some of the stunning work by Frei Otto. Of course his work explored a great deal more than just catenary structures, but he is revered for his beautiful work on gridshells. He, along with the Institute for Lightweight Structures, have truly been pioneers on the front of theoretical structural engineering. There are a few different terms that refer to this practice, including biomimetics, bionomics or bionics. In principle they are all more or less the same thing; the practical application of discoveries derived from the study of the natural world (i.e. anything that was not caused or made by humans.) In a way, this is the fundamental essence of the scientific method: to learn by observation. Frei Otto is a fine example of ecological literacy at its finest. A profound curiosity of the natural world greatly informed his understanding of structural technology. This was all nourished by countless inquisitive and playful investigations into the realm of physics and biology. He even wrote a series of books on the way that the morphology of bird skulls and spiderwebs could be applied to architecture called Biology and Building. His ‘IL‘ series also highlights a deep admiration of the natural world. Gaudí’s studies of nature translated into his use of ruled geometrical forms such as hyperbolic paraboloids, hyperboloids, helicoids etc. He suggested that there is no better structure than the trunk of a tree, or a human skeleton. Forms in biology tend to be both exceedingly practical and exceptionally beautiful, and Gaudí spent much of his life discovering how to adapt the language of nature to the structural forms of architecture. Fractals were also an undisputed recurring theme in his work. This is especially apparent in his most renown piece of work, the Sagrada Familia. The varying complexity of geometry, as well as the particular richness of detail, at different scales is a property uniquely shared with fractal nature. That being said, modern day engineers and architects continue to push this envelope, granted with varying levels of success. Although I believe that there is a certain level of inevitability when it comes to how architecture is influenced by natural forms. It has been said that, the more efficient structures and systems become, the more they resemble ones found in nature. Euclid, the father of geometry, believed that nature itself was the physical manifestation of mathematical law. While this may seems like quite a striking statement, what is significant about it is the relationship between mathematics and the natural world. I like to think that this statement speaks less about the nature of the world and more about the nature of mathematics – that math is our way of expressing how the universe operates, or at least our attempt to do so. After all, Carl Sagan famously suggested that, in the event of extra terrestrial contact, we might use various universal principles and facts of mathematics and science to communicate. Delving deeper into the world of mathematics, fractals, geometry, and space-filling curves. Following my last post on the “…first, second, and third dimensions, and why fractals don’t belong to any of them…“, this post is about documenting my journey as I delve deeper into the subject of fractals, mathematics, and geometry. The study of fractals is an intensely vast topic. So much so that I’m convinced you could easily spend several lifetimes studying them. That being said, I chose to focus specifically on single-curve geometry. But, keep in mind that I’m only really scratching the surface of what there is to explore. Inspired by Georg Cantor’s research on infinity near the end of the 19th century, mathematicians were interested in finding a mapping of a one-dimensional line into two-dimensional space – a curve that will pass through through every single point in a given space. Jeffrey Ventrella writes that “a space-filling curve can be described as a continuous mapping from a lower-dimensional space into a higher-dimensional space.” In other words, an initial one-dimensional curve is developed to increase its length and curvature – the amount of space in occupies in two dimensions. And in the mathematical world, where a curve technically has no thickness and space is infinitely vast, this can be done indefinitely. 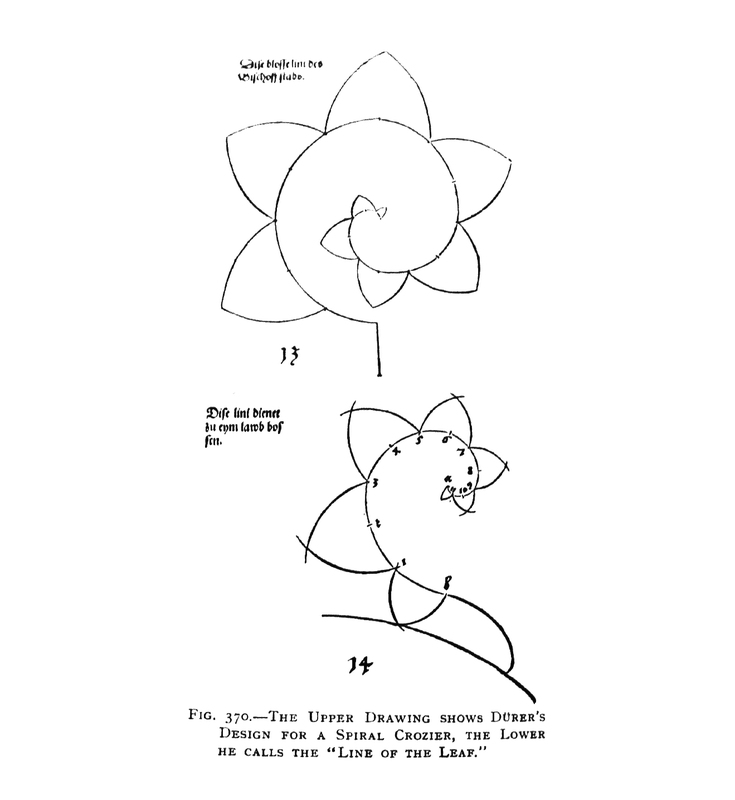 In 1904, Helge von Koch describes a single complex continuous curve, generated with rudimentary geometry. Around 1967, NASA physicists John Heighway, Bruce Banks, and William Harter discovered what is now commonly known as the Dragon Curve. You may have noticed that some of these curves are better at filling space than others, and this is related to their dimensional measure. They fall under the category of fractals because they’re neither one-dimensional, nor two-dimensional, but sit somewhere in between. For these examples, their dimension is often defined by exactly how much space they fill when iterated infinitely. While these are some of the earliest space-filling curves to be discovered, they are just a handful of the likely endless different variations that are possible. Jeffrey Ventrella spent over twenty-five years exploring fractal curves, and has illustrated over 200 hundred of them in his book ‘Brain-Filling Curves, A Fractal Bestiary.’ They are organised according to a taxonomy of fractal curve families, and are shown with a unique genetic code. Incidentally, in an attempt to recreate one of the fractals I found in Jeffery Ventrella’s book, I accidentally created a slightly different fractal. As far as I’m concerned, I’ve created a new fractal and am unofficially naming it ‘Nicolino’s Quatrefoil.’ The following was created in Rhino and Grasshopper, in conjunction Anemone. It’s possible to iterate a version of the Hilbert Curve that (once repeated infinity) can fill three-dimensional space. As an object, it seems perplexingly difficult to categorize. It is a single, one-dimensional, curve that is ‘bent’ in space following simple, repeating rules. Following the same logic as the original Hilbert Curve, we know that this can be done indefinitely, but this time it is transforming into a volume instead of a surface. (Ignoring the fact that it is represented with a thickness) It is a one-dimensional curve transforming into a three-dimensional volume, but is never a two-dimensional surface? As you keep iterating it, its dimension gradually increases from 1 to eventually 3, but will never, ever, ever be 2?? In the case of the original space-filling curve, the goal was to fill all of infinite space. However the fundamental behaviour of these curves change quite drastically when we start to play with the rules used to generate them. For starters, they do not have to be so mathematically tidy, or geometrically pure. The following curves can be subdivided infinitely, making them true space-filling curves. But, what makes them special is the ability to control the space-filling process, whereas the original space-filling curves offer little to no artistic license. Let’s say that we change the criteria, from passing through every single point in space, to passing only through the ones we choose. This now becomes a well documented computational problem that has immediate ‘real world’ applications. Our figurative traveling salesman wishes to travel the country selling his goods in as many cities as he can. In order to maximize his net profit, he must make his journey as short as possible, while of course still visiting every city on his list. His best possible route becomes exponentially more challenging to work out, as even just a handful of cities can generate thousands of permutations. This illustration, commissioned by Bill Cook at University of Waterloo, is a solution to the Traveling Salesman Problem. If we let physics (rather than math) dictate the growth of the curve, the result becomes more organic and less controlled. In this example Rhino is used with Grasshopper and Kangaroo 2. A curve is drawn on a plain, broken into segments, then gradually increased in length. As long as the curve is not allowed to cross itself (which is achieved here with ‘Collision Spheres’), the result is a curve that is pretty good at uniformly filling space. The geometry doesn’t even have to be bound by a planar surface; It can be done on any two-dimensional surface (or in three-dimensions (even higher spacial dimensions I guess..)). Additionally, Anemone can be used in conjunction with Kangaroo 2 to continuously subdivide the curve as it grows. The result is much smoother, as well as far more organic. Of course the process can also be reversed, allowing the curve to flow seamlessly from one space to another. In the interest of creating something a little more tangible, it is possible to increase the dimension of these curves. Recording the progressive iterations of a space filling curve allow us to generate what is essentially a space-filling surface. This new surface has the unique quality of being able to fill a three-dimensional space of any shape and size, while being a single surface. It of course also shares the same qualities as its source curves, where it keep increasing in surface area (and can do so indefinitely). If you were to keep gradually (but indefinitely) increasing the area of a surface this way in a finite space, the result will be a two-dimensional surface seamlessly transforming into a three-dimensional volume. Here is an example of turning the dragon curve into a space-filling surface. Each iteration is recorded and offset in depth, all of which inform the generation of a surface that loosely flows through each of them. This was again achieved with Rhino and Grasshopper. Adding a little thickness to the model allow us to 3D print it. Unsurprisingly this can also be done with differentially grown curve. The respective difference being that this method fills a specific space in a less controlled manner. In this case with Kangaroo 2 is used to grow a curve into the shape of a whale. Like before, each iteration is used to inform a single-surface geometry. something caught in between dimensions – on its way to becoming more. The Wishing Well is the physical manifestation, a snap-shot, of a creature caught in between dimensions – frozen in time. It is a digital entity that has been extracted from its home in the fractured planes of the mathematical realm; a differentially grown curve in bloom, organically filling space in the material world. The piece will be built from the bottom-up. Starting with the profile of a differentially grown curve (a squiggly line), an initial layer will be set in pieces of 2 x 4 inch wooden studs (38 x 89 millimeter profile) laid flat, and anchored to the ground. Each subsequent layer will be built upon and fixed to the last, where each new layer is a slightly smoother version than the last. 210 layers will be used to reach a height of 26 feet (8 meters). The horizontal spaces in between each of the pieces will automatically generate hand and foot holes, making the structure easily climbable. The footprint of the build will be bound to a space 32 x 32 feet. The design may utilize two layers, inner and out, that meet at the top to increase the structural integrity for the whole build. It will be lit from within, either from the ground with spotlights or with LED strip lights following patterns along the walls. At the Wishing Well, visitors embark on a small journey, exploring the uniquely complex geometry of the structure before them. As they approach the foot of the well, it will stand towering above them, undulating organically across the landscape. The nature of the structure’s curves beckons visitors to explore the piece’s every nook and cranny. Moreover, its stature grants a certain degree of shelter to any traveller seeking refuge from the Playa’s extreme weather conditions. The well’s shape and scale allows natural, and artificial, light to interact in curious ways with the structure throughout the day and night. The horizontal gaps between every ‘brick’ in the wall allows light to filter through each layer, which in turn casts intriguing shadows across the desert. This perforation also allows Burners to easily, and relatively safely, scale the face of the build. Visitors will have the opportunity to grant a wish by writing it down on a tag and fixing it to the well’s interior. If you had one magical (paradox free) wish, to do anything you like, what would it be? Anything can be wished for at the Wishing Well, but a wish will not come true if it is deemed too greedy. Visitors must write their wish down on a tag and fix it to the inside of the well. They must choose wisely, as they are only allowed one. Additionally, they may choose to leave a single, precious, offering. However, if the offering does not burn, it will not be accepted. Visitors will also find that they must tread lightly on other people’s wishes and offerings. The Wishing Well is a physical manifestation of the wishes it holds. They are something caught in between – on their way to becoming more. I wish for guests to reflect on where they’ve been, where they are, where they are going, and where they wish to go. First, second and third dimensions, and why fractals don’t belong to any of them, as well as what happens when you get into higher dimensions. Alain Badiou said that mathematics is a rigorous aesthetic; it tells us nothing of real being, but forges a fiction of intelligible consistency. That being said, I think it’s interesting to think about whether or not mathematics were invented or discovered – whether or not numbers exist outside of the human mind. While I don’t have an answer to this question (and there are at least three different schools of thought on the subject), I do think it’s important to keep in mind that we only use math as a tool to measure and represent ‘real world’ things. In other words, our knowledge of mathematics has its limitations as far as understanding the space-time continuum goes. In physics and mathematics, dimensions are used to define the Cartesian plains. The measure of a mathematical space is based on the number of variables require to define it. The dimension of an object is defined by how many coordinates are required to specify a point on it. It’s important to note that there is no ‘first’ or ‘second’ dimension. It’s a bit like pouring three cups of water into a vase and asking someone which cup is the first one. The question doesn’t even make sense. We usually arbitrarily pick a dimension and calling it the ‘first’ one. Something of zero dimensions give us a point. While a point can inhabit (and be defined in) higher dimensions, the point itself has a dimension of zero; you cannot move anywhere on a point. A line or a curve gives us a one-dimensional object, and is typically bound by two zero-dimensional things. Only one coordinate is required to define a point on the curve. Similarly to the point, a curve can inhabit higher dimension (i.e. you can plot a curve in three dimensions), but as an object, it only possesses one dimension. Another way to think about it is: if you were to walk along this curve, you could only go forwards or backward – you’d only have access to one dimension, even though you’d be technically moving through three dimensions. Surfaces or plains gives us two-dimensional shapes, and are typically bound by one-dimensional shapes (lines/curves). A plain can be defined by x&y, y&z or x&z; more complex surfaces are commonly defined by u&v values. These variable are arbitrary, what is important is that there are two of them. A surface can live in three+ dimensions, but still only possesses two dimension. Two coordinate are required to define a point on a surface. For example a sphere is a three-dimensional object, but the surface of a sphere is two-dimensional – a point can be defined on the surface of a sphere with latitude and longitude. A volume gives us a three-dimensional shape, and can be bound by two-dimensional shapes (surfaces). Shapes in three dimensions are most commonly represented in relation to an x, y and z axis. If a person were to swim in a body of water, their position could be defined by no less than three coordinates – their latitude, longitude and depth. Traveling through this body of water grants access to three dimensions. Fractals can be generally classified as shapes with a non-integer dimension (a dimension that is not a whole number). They may or may not be self-similar, but are typically measured by their properties at different scales. Felix Hausdorff and Abram Besicovitch demonstrated that, though a line has a dimension of one and a square a dimension of two, many curves fit in-between dimensions due to the varying amounts of information they contain. These dimensions between whole numbers are known as Hausdorff-Besicovitch dimensions. A line or a curve gives us a one-dimensional object that allows us to move forwards and backwards, where only one coordinate is required to define a point on them. Surfaces give us two-dimensional shapes, where two coordinate are required to define a point on them. Here is a shape that cannot be classified as a one-dimensional shape, or a two-dimensional shape. It can be plotted in two dimensions, or even three dimensions, but the object itself does not have access the two whole dimensions. If you were to walk along the shape starting from the base, you could go forwards and backwards, but suddenly you have an option that’s more than forwards and backwards, but less than left and right. You cannot define a point on this shape with a single coordinate, and a two coordinate system would define a point off of the shape more often than not. Each fractal has a unique dimensional measure based on how much space they fill. A volume gives us a three-dimensional shape where a point could be defined by no less than three coordinates. While these models live in three dimensions, they do not quite have access to all of them. You cannot define a point on them with two coordinates: they are more than a surface and less than a volume. The Menger Sponge for example has (mathematically) a volume of zero, but an infinite surface area. • The exactly self-similar method for calculating dimensions of mathematically generated repeating patterns. • The Richardson method for calculating a dimensional slope. • The box-counting method for determining the ratios of a fractal’s area or volume. In theory, higher (non-integer) dimensional fractals are possible. As far as I’m concerned however, they’re not particularly good for anything in a three-dimensional world. You are more than welcome to prove me wrong though. Sadly, living in a three-dimensional world makes it especially difficult to think about, and nearly impossible to visualise, higher dimensions. This is in the same way that a two-dimensional being would find it impossibly hard to think about our three-dimensional world, a subject explored in the novel ‘Flatland’ by Edwin A. Abbott. That being said, it’s plausible that we experience much higher dimensions that are just too hard to perceive. For example, an ant walking along the surface of a sphere will only ever perceive two dimensions, but is moving through three dimensions, and is subject to the fourth (temporal) dimension. If we consider time an additional variable, then despite the fact that we live in a three dimensional world, we are always subject to (even if we cannot visualize) a fourth dimension. Suppose we call our first three dimensions x, y & z, and our fourth t: latitude, longitude, altitude and time, respectively. In this instance, time is linear, and time & space are one. As if the universe is a kind of film, where going forwards and backwards in time will always yield the exact same outcome; no matter how many times you return to a point in point time, you will always find yourself (and everything else) in the exact same place. However time is only linear for us as three-dimensional beings. For a four-dimensional being, time is something that can be moved through as freely as swimming or walking. If we explore spacial dimensions, a four-dimensional object may be achieved by ‘folding’ three-dimensional objects together. They cannot exist in our three-dimensional world, but there are tricks to visualise them. We know that we can construct a cube by folding a series of two-dimensional surfaces together, but this is only possible with the third dimension, which we have access to. If we visualise, in two dimensions, a cube rotating (as seen above), it looks like each surface is distorting, growing and shrinking, and is passing through the other. However we are familiar enough with the cube as a shape to know that this is simply a trick of perspective – that objects only look smaller when they are farther away. In the same way that a cube is made of six squares, a four-dimensional cube (hypercube or tesseract), is made of eight cubes. It looks like each cube is distorting, growing and shrinking, and passing through the other. This is because we can only represent eight cubes folding together in the fourth dimension with three-dimensional perspective animation. Perspective makes it look like the cubes are growing and shrinking, when they are simply getting closer and further in four-dimensional space. If somehow we could access this higher dimension, we would see these cubes fold together unharmed the same way forming a cube leaves each square unharmed. Below is a three-dimensional perspective view of hypercube rotating in four dimensions, where (in four-dimensional space) all eight cubes are always the same, but are being subjected to perspective. On the temporal side of things, adding the ability to move ‘left & right’ and ‘up & down’ in time gives us the fifth and sixth dimensions. This is a space where one can move through time based on probability and permutations of what could have been, is, was, or will be on alternate timelines. For any one point in this space, there are six coordinates that describe its position. In spacial dimensions, it is theoretically possible to fold four-dimensional objects with a fifth dimension. However, it becomes increasingly difficult for us to visualise what is happening to the shapes that we’re folding. If we can take a point and move it through space and time, including all the futures and pasts possible, for that point, we can then move along a number line where the laws of gravity are different, the speed of light has changed. These ten time-space dimensions belong to something called Super-string Theory, which is what physicists are using to help us understand how the universe works. There may very well be a link between temporal dimensions and spacial dimensions. For all I know, they are actually the same thing, but thinking about it for too long makes my head hurt. If the topic interests you, there is a philosophical approach to the nature of time called ‘eternalism’, where one may find answers to these questions. Other dimensional models include M-Theory, which suggests there are eleven dimensions. While we don’t have experimental or observational evidence to confirm whether or not any of these additional dimensions really exist, theoretical physicists continue to use these studies to help us learn more about how the universe works. Like how gravity affects time, or the higher dimensions affect quantum theory. What makes this book particularly enjoyable to flip through is an abundance of beautiful hand drawings and diagrams. Sir Theodore Andrea Cook explores, in great detail, the nature of spirals in the structure of plants, animals, physiology, the periodic table, galaxies etc. 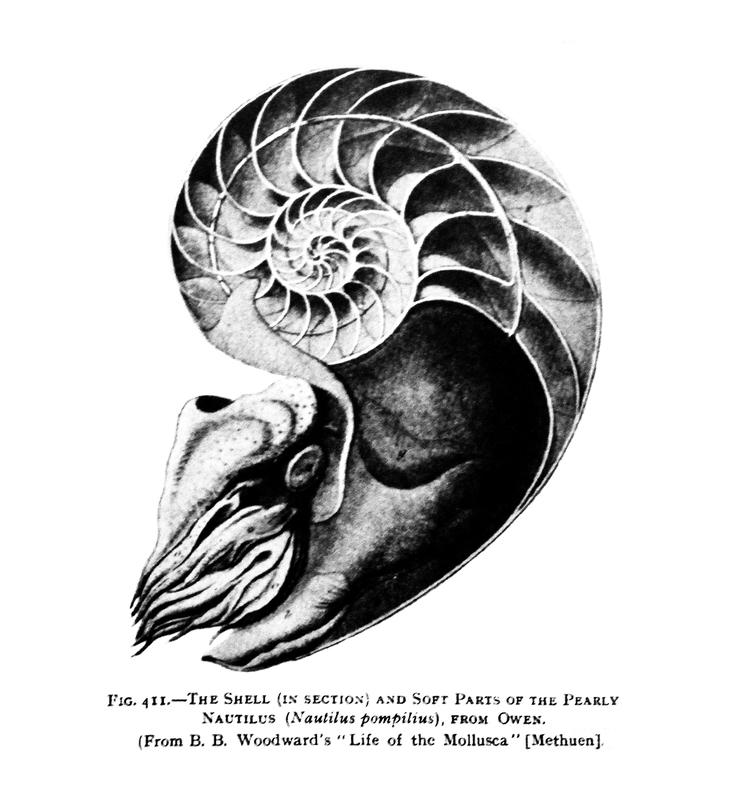 – from tusks, to rare seashells, to exquisite architecture. Cook especially believes in a hands-on approach, as oppose to mathematic nation or scientific nomenclature – seeing and drawing curves is far more revealing than formulas. Despite this, it is clear that Theodore Cook has a deep love of mathematics. He describes it at the beautifully precise instrument that allows humans to satisfy their need to catalog, label and define the innumerable facts of life. This ultimately leads him into profoundly fascinating investigations into the geometry of the natural world. D’Arcy Wentworth Thompson wrote, on an extensive level, why living things and physical phenomena take the form that they do. By analysing mathematical and physical aspects of biological processes, he expresses correlations between biological forms and mechanical phenomena. He puts emphasis on the roles of physical laws and mechanics as the fundamental determinants of form and structure of living organisms. 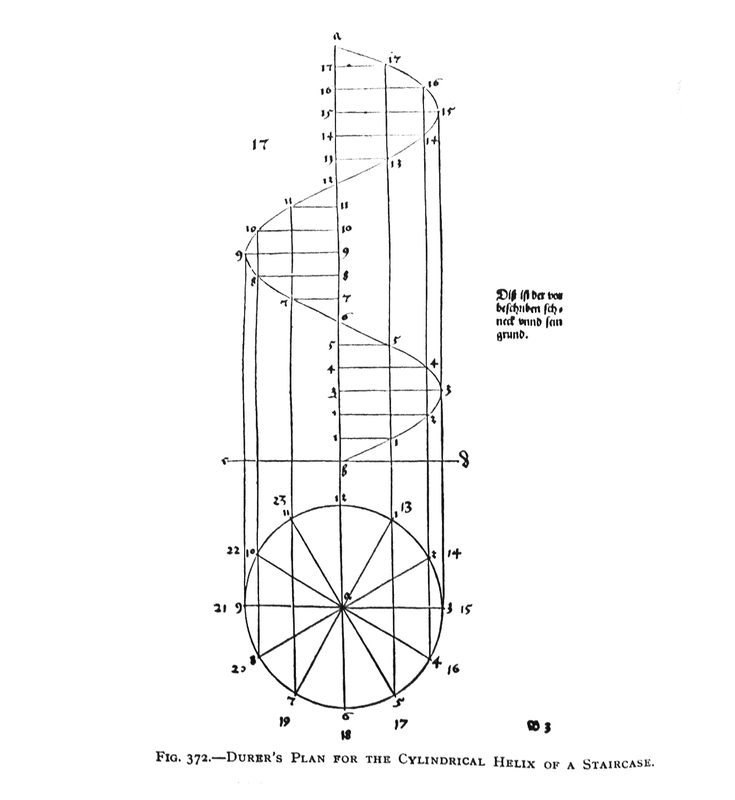 D’Arcy describes how certain patterns of growth conform to the golden ratio, the Fibonacci sequence, as well as mathematics principles described by Vitruvius, Da Vinci, Dürer, Plato, Pythagoras, Archimedes, and more. While his work does not reject natural selection, it holds ‘survival of the fittest’ as secondary to the origin of biological form. The shape of any structure is, to a large degree, imposed by what materials are used, and how. A simple analogy would be looking at it in terms of architects and engineers. They cannot create any shape building they want, they are confined by physical limits of the properties of the materials they use. The same is true to any living organism; the limits of what is possible are set by the laws of physics, and there can be no exception. The first being the quantity on resources that use, the second being the type of energy we consume and the third being how effectively we are using the energy that we are consuming. Exemplary use of materials could often be seen in plants, as they use a minimal amount of material to create relatively large structures with high surface to material ratios. As observed by Julian Vincent, a professor in Biomimetics, “materials are expensive and shape is cheap” as opposed to technology where the inverse is often true. Plants, and other organisms, are well know to use double curves, ribs, folding, vaulting, inflation, as well as a plethora of other techniques to create forms that demonstrate incredible efficiency.